Write and debug your games with Visual Studio. 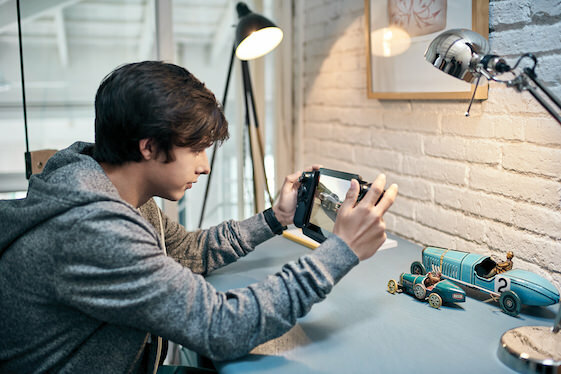 Build high-performance 2D and 3D games in DirectX to run on a variety of devices in the Windows family, including desktops, tablets, and phones. 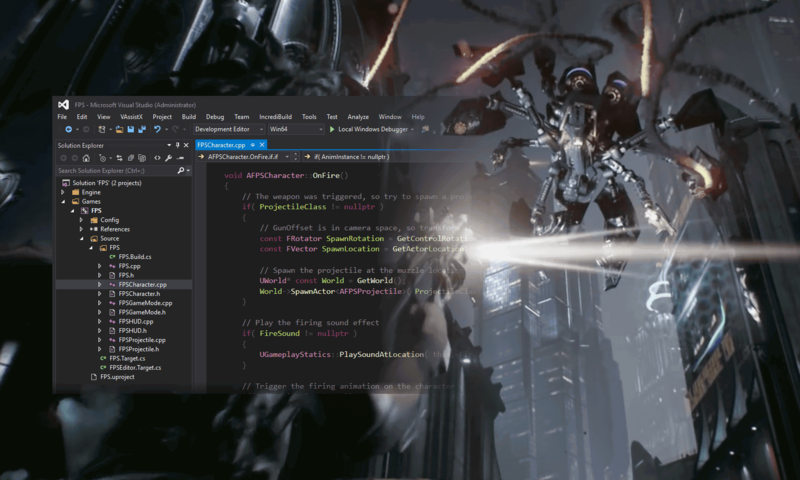 Visual Studio offers a great set of tools for developing DirectX games, from writing shader code and designing assets to debugging and profiling graphics—all in the same familiar Visual Studio IDE. 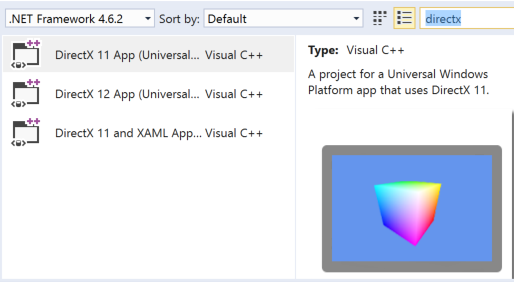 Get started building DirectX games in Visual Studio by using the built-in DirectX project templates for Universal Windows Platform. 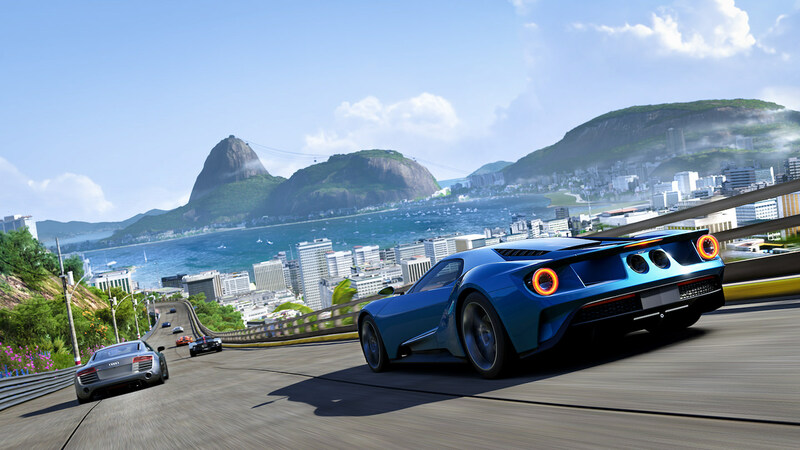 Whether you choose to build with DirectX11 or DirectX12, you will find a template that suits you. Rendering problems can be tricky to troubleshoot. 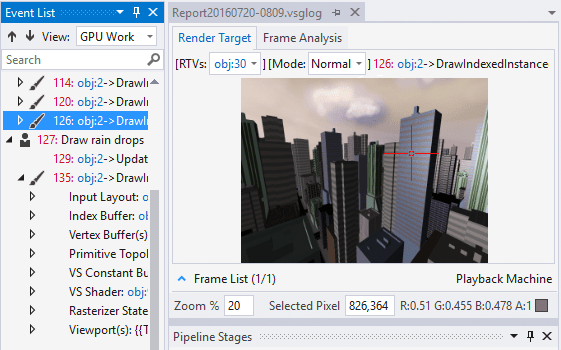 Visual Studio Graphics Diagnostics provides an easy way to capture and analyze frames from your DirectX 10, 11, or 12 games locally or remotely. You can inspect each DirectX event, graphics object, pixel history, and look into the graphics pipeline to understand exactly what occurred during the frame. This tool also captures call stacks for each graphics event, making it easy to navigate back to your application code in Visual Studio. Whether your shader code is in HLSL files or FX files, the Visual Studio shader editor recognizes them. The shader editor provides syntax highlighting and braces auto-completion, making it easy to read and write shader code in Visual Studio.Debugging shader code from a captured frame is another great way to pinpoint the source of rendering problems. Simply set a breakpoint in your shader code and press F5 to debug it. You can inspect variables and expressions in Locals and Autos. If you’ve used the Visual Studio debugger for other languages before, you’ll find yourself right at home. Looking for ways to increase the frame rate for your game? Visual Studio Frame Analysis can come in handy. It analyzes captured frames to look for expensive draw calls and performs experiments on them to explore performance optimization opportunities – all in a nice report. 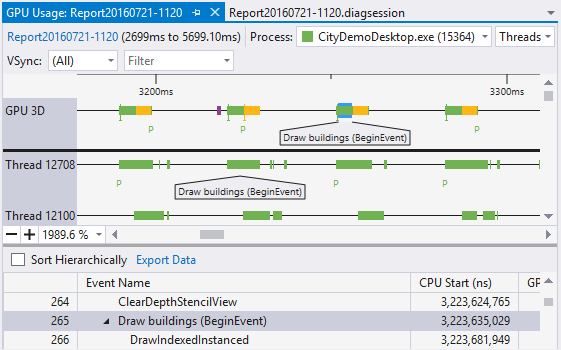 Use Visual Studio GPU Usage to understand how your game performs on the CPU and the GPU. GPU Usage collects data in real time and it complements Frame Analysis, which is performed on captured frames in an offline fashion. The GPU Usage report will clearly show where the bottleneck is, whether it’s on the CPU or the GPU. 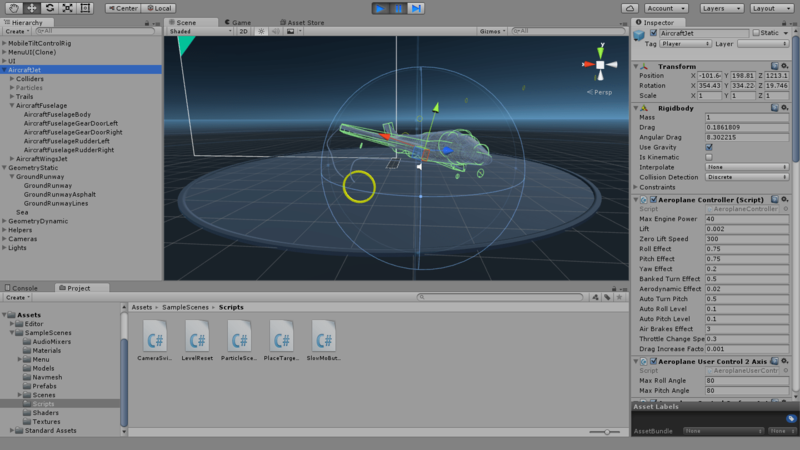 The Unity engine integrates into one unparalleled platform to create 2D and 3D games and interactive content. Create once and publish to 21 platforms, including all mobile platforms, WebGL, Mac, PC and Linux desktop, web or consoles. Use powerful cross-platform tools to make your interactive content run beautifully on any device. 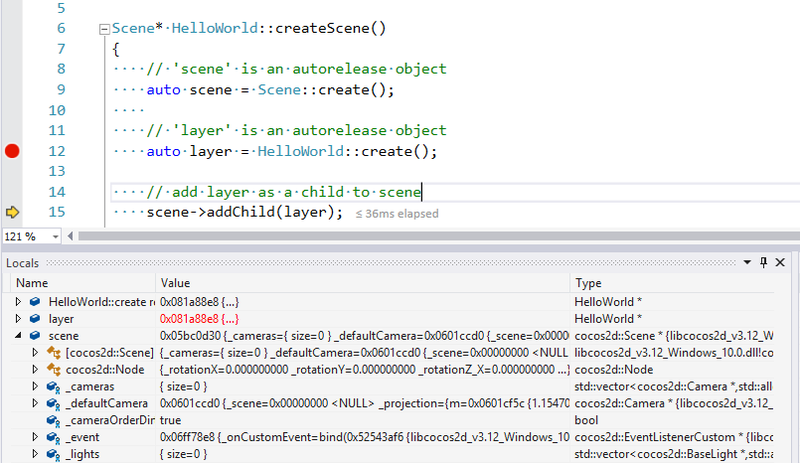 Visual Studio brings a premium debugging experience to the Unity game engine. Identify issues quickly by debugging your Unity games in Visual Studio— Set breakpoints and evaluate variables and complex expressions. You can debug your Unity game that is running either in the Unity Editor or in the Unity Player, or even debug an external managed DLL in your Unity Project. Write code more productively by leveraging all the productivity features that Visual Studio has to offer, such as IntelliSense, refactoring, and code browsing capabilities. Customize the coding environment exactly the way you want – choose your favorite theme, color, fonts, and all the other settings. In addition, use the Unity Project Explorer to navigate and create your Unity scripts – no more switch back and forth between multiple IDEs. Create Unity script methods inside Visual Studio quickly by using the Implement MonoBehaviours and the Quick MonoBehaviours Wizards. Unreal Engine 4 is a complete suite of game development tools made by game developers, for game developers. From 2D mobile games to console blockbusters and VR, Unreal Engine 4 gives you everything you need to start, ship, grow and stand out from the crowd. Edit, build, and debug your Unreal games in C++ in Visual Studio to boost your productivity. Unreal Engine is designed to integrate smoothly with Visual Studio, allowing you to quickly and easily make code changes in your projects to immediately see results upon compilation. 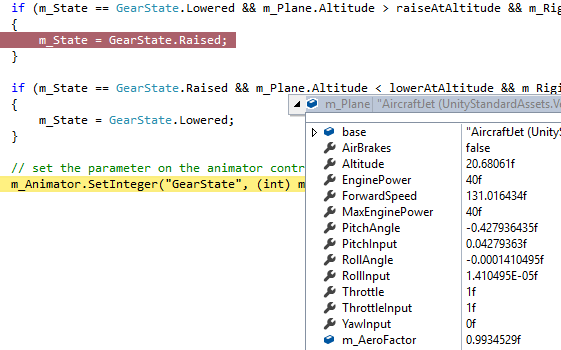 Write code with powerful intelliSense support, including a live Error List and squiggles, to speed up your workflow! 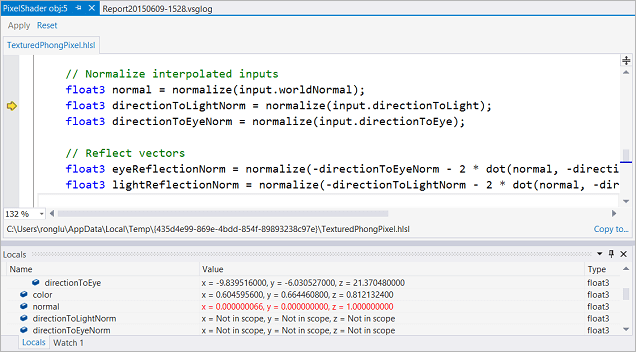 Visual Studio brings a world-class debugging experience to the Unreal engine. Debug your Unreal projects easily by leveraging the extended support with visualizers in the debugger that allows easy inspection of common Unreal types such as FNames and dynamic arrays. You can also check out how your program has been performing simply by looking at the performance tips that the debugger displays in the editor. Cocos is an open-source professional development toolkit for building games that provides a streamlined workflow for developers. 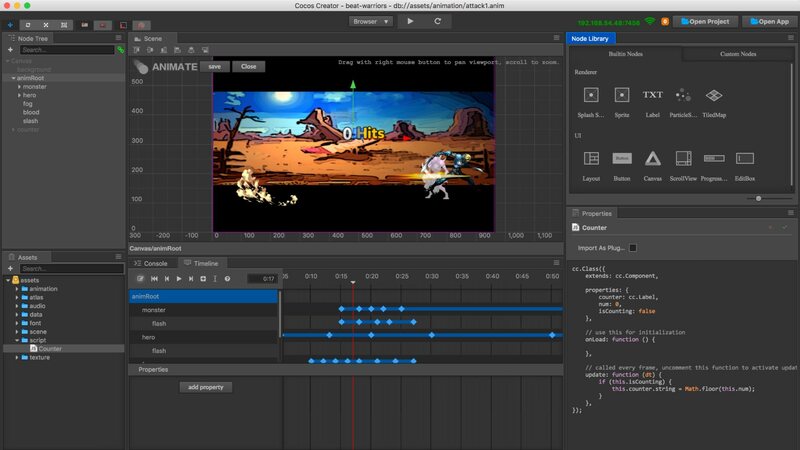 With Cocos, you can quickly create projects, design games and animation clips, package and publish games for distribution. Build Cocos games with the powerful Visual Studio IDE and debug with the world-class Visual Studio debugger to boost your productivity. Cocos engine fully integrates with Visual Studio, allowing you to write code more productively by leveraging all the productivity features that Visual Studio has to offer, such as IntelliSense, refactoring, and code browsing capabilities. 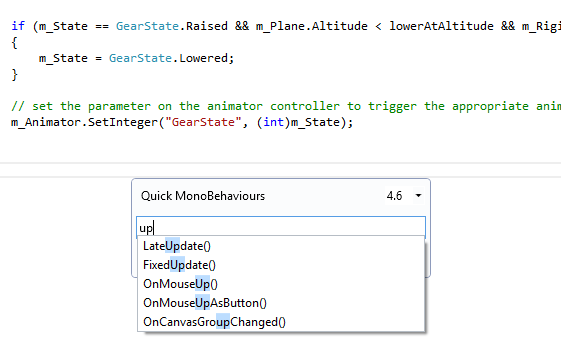 Compile and run your projects in Visual Studio to view the impact of your code changes right away. Leverage the powerful Visual Studio debugger to catch issues quickly. The Visual Studio debugger tightly integrates into the Cocos game developer workflow – set breakpoints and start evaluating variables and expressions. You can also check how your program has been performing simply by looking at the performance tips that the debugger displays in the editor. Azure provides you with choice and flexibility to build your game backend on cloud. For compute, You can use IaaS offerings like Virtual Machine, VM Scale sets on Windows and Linux or leverage PaaS offerings like Service Fabric and App Service. For data storage, you can use managed database services like Azure SQL Database and Azure DocumentDB and also MongoDB and other options from Azure Marketplace. 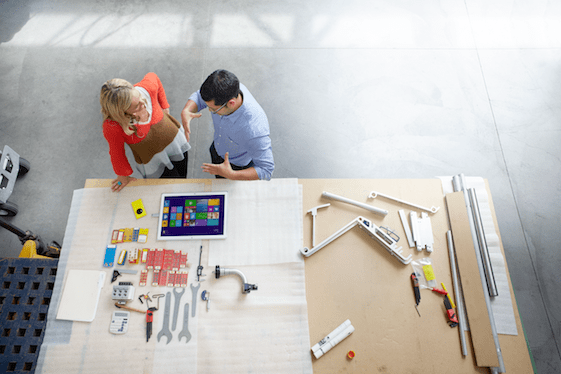 Enable multiplayer scenarios and leaderboards with Azure Active Directory. For instance, manage social identity providers such as Facebook, Google, and Microsoft. And manage player retention and increase user engagement and monetization across platforms using Azure Notification Hubs and Azure Media Services. 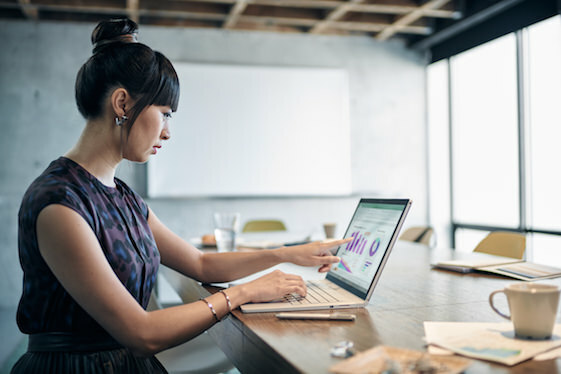 Build a powerful end-to-end game analytics platform on Azure using tools from the Cortana Intelligence Suite and big data solutions. Analyze mobile gamers’ behavior using services like Azure Machine Learning and Azure Mobile Engagement to maximize app usage, user retention, and monetization.